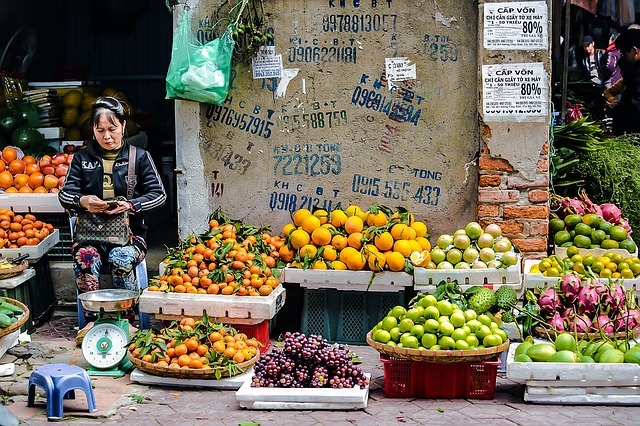 Vietnamese markets are a major part of Vietnam’s culture and tradition, from the local food produce to their clothing and amenities; it is very much a way of life for many in the country. You can find a wide array of places to do some street market shopping in Vietnam, from their flea markets, small street stalls, markets or even high-street shops. Within these markets you will find high-quality replicas of designer bags and clothing, shoes, food and much more. You should of course make some effort to learn basic phrases when you visit another country, it’s just polite and shows that you are interested. But just in case you need a refresh, we have put together a short list of the five phrases that you are likely to use in a Vietnamese street market and even when haggling a price. An Dong market has been supplying everything from clothes to food since 1954, covering both the wholesale and retail market. Within the market, you are spoilt for choice in terms of clothes, bags, accessories, shoes and food with Saigon based retailers swearing by the market for their stock. With the popularity of this market, you will need to have your bartering skills down to a tee before you start thinking about buying anything. It is always best to have a walk around all of the stalls, because chances are you will find that thing that caught your eye elsewhere. As you walk into the bottom floor you are greeted by a wave of aromas wafting from the food court that sells food in bulk. Here you can walk around an incredible collection of seafood and meat, including brilliantly bright orange shrimp. Making your way up to the second floor you step into what may well be heaven-on-earth for shoe lovers. If you are preparing for a trip to the rural countryside on your Vietnam tour holiday then you can buy yourself a bargain pair of durable running shoes or sandals. Or if you want to dress up for dinner, you can get yourself some high heels or smart shoes. 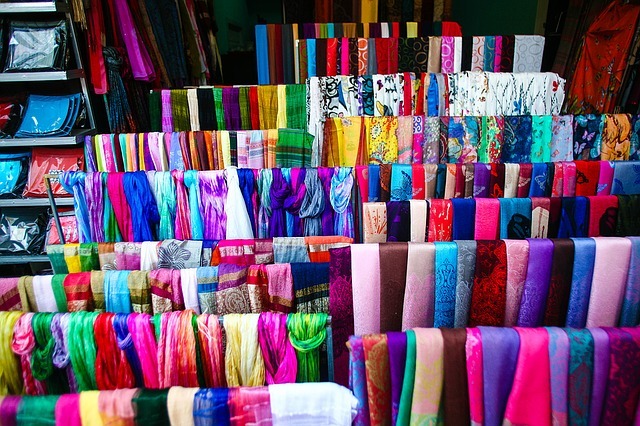 Further up into the market you will find a labyrinth of stalls selling almost everything that the heart can desire with piles of shirts, clothes, handmade products and authentic ornaments filling the market. 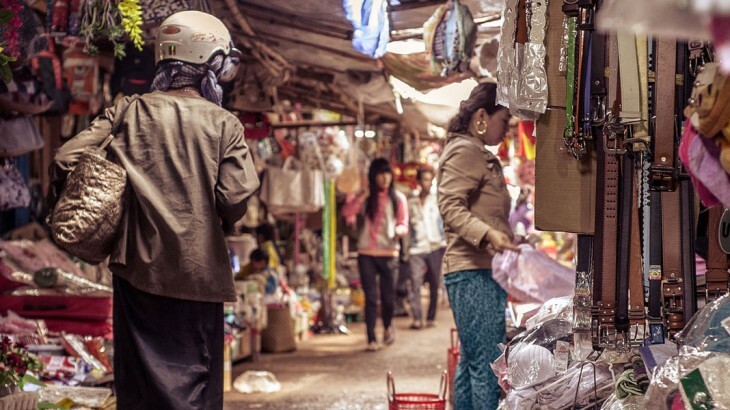 The Ben Thanh market runs night and day, where you will find a bustling hub of business. The market was built back in 1870 by the French and this is distinguishable by its French/Asian architecture and design. Originally called Les Halles Centrales, it was renamed to Ben Thanh in 1912. Seen as a symbol to many, you will find a mix of both locals and tourists coming together here to do their shopping. Like the An Dong Market, you will be able to find an array of stalls offering up hawker-style Vietnamese cuisine, local handicrafts, branded goods and much more. It is regarded as a must-visit location for genuine and authentic Vietnamese food, where you will be able to try freshly prepared banh xeo, banh cuon, cha gio and many more. 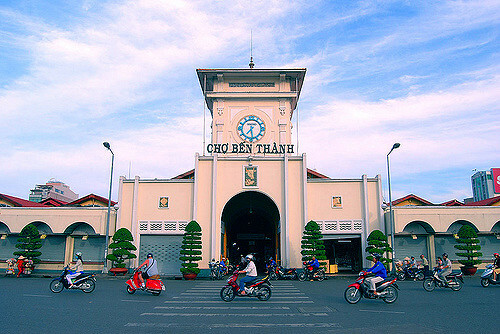 If you really want to find out where the locals go out to eat and buy their clothes, then you visiting the Ben Thanh is a must. 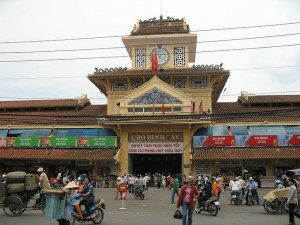 Known in Vietnamese as Chợ Bình Tây, Binh Tay market is one of Saigon’s biggest markets. It is another market with a French and Chinese blend of architecture and design, with a vivid yellow tiled roof and colourful motifs decorating the entrances and exits. Broken up into two parts, you can explore the outside wet market street and the inside section featuring hundreds of individual stalls. Here you can indulge in local Vietnamese candied fruit, beautifully colourful cloth, local nuts and a bountiful collection of handmade products. The most popular flower market in Hanoi, Quang Ba night flower market can be found in the Tay Ho District and is best experienced between 3.00am and 4.00am. This market is only open at night starting at around 12am when the local vendors start opening the market selling a wide variety from roses, carnations, and chrysanthemums. 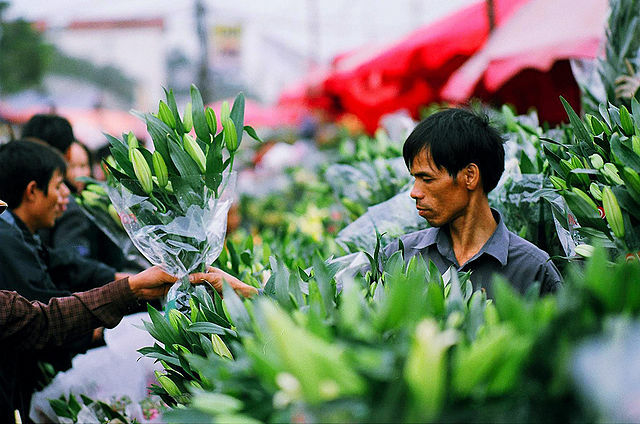 Not just a place for locally grown flowers, the Quang Ba flower market is home to some of the most famous flower brands around the world. Here you can buy domestic and exotic flowers from China, Vietnam and the Netherlands – famed for its flower production. It was a wholesale market for many years, but now it is the biggest and flower market in Hanoi, with its flowers considered to be the most beautiful and freshest across Hanoi. Expect to see floods of photographers, locals and young couples who escape here for the romantic atmosphere and scenery. Separated into two sessions the first – between 2am and 4am – is when the farmers sell their colourful produce in a similar manor to wholesaling. At this time you will find that people will be buying flowers to sell on their own individual stalls later in the morning, but it also the cheapest time for you to buy. The second session is controlled by the traders, many of whom have just purchased from the farmers. This kicks off from just after 4.00am until dawn and the morning light, where the splattering of colourful flowers will pop-up across the city in shop windows, offices and more stalls. In Vietnam the currency is the Vietnamese Dong, and it works out that £1 equals 28,365 VND. The value of the pound has gone down in recent years, but fortunately it is still very strong in this corner of the world. For instance if you are looking to buy a few t-shirts in the market then you can expect to shell out anywhere between 150,000-200,000 VND which works out at around £5-£7s. Though some people are sceptical of the quality of products that you can get from these markets, you will be able to buy yourself a very good leather belt for around £6 or cheaper if you choose another material. One thing you will notice when walking around markets like these is the vast supply of replica clothing, bags, belts, wallets and shoes. You can easily buy imitation copies of branded products like a handbag for around £7 and in truth, they look remarkably genuine. If you are looking for authentic designer clothes you can buy Nike and Adidas products for example for about 20% less than you would in Europe. To immerse yourself into Vietnamese street market culture you must try the street food. From authentic dishes to snacks, this is the cheapest way to eat in the country with an average spend of just £1. For a fine dining experience, just £4 can allow you to eat almost anywhere in Vietnam. Navigating yourself through a bustling, hot Vietnamese market will let you indulge all of your senses and experience the beautiful country in a whole new light with each market as different as the next. 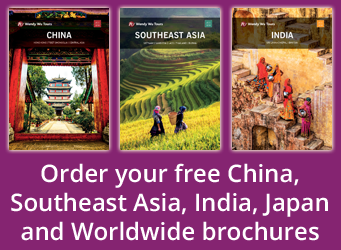 Book an award winning tour with the Asia experts, Wendy Wu Tours. Our fully inclusive, escorted Vietnam tours visit all the major sights for an unforgettable holiday. Vietnam shopping, vietnam news. permalink. Vietnam really has one of the most unique shopping cultures out of all countries in the East. Felt in love with it when I had a trip in 2010. Hopefully I can come back some day.